I've been fortunate to partner with Counter KICKS to get some more information regarding the Weapon EVO in the form of an interview with Covnerse's Michael Ditullo. Michael is the design director at Covnerse and was the designer of the Weapon EVO. Here is the first part of the interview, the second part of the interview will run here later today. Counter Kicks: Can you describe the genesis of the Weapon Evo, and how you took the template of the original Weapon and re-engineered it into a brand new creation? Michael DiTullo: Definitely. You know, it’s got a really cool story. It was a really organic process. Having been in the industry for awhile, I kind of geek out on a lot of the stories behind a lot of shoes. I had been wanting to do something with the Weapon for awhile, and we’d been talking about doing a visible technology and we’d been researching a lot of our past and researching a lot of technology. I just felt like it was a perfect opportunity. Do a visible technology and do it in a product that tied to our heritage a little bit more. It just was the right thing to do. A key of using the Weapon was that it was a team shoe, a real serious team shoe, and you had Isiah, Bird, Magic, Bernard King. Everybody was rocking that shoe, and it was great for all of those players, all those players had extremely different styles, so [that’s] the idea of doing that same thing now: trying to flip things a little bit differently and to do a technology in a shoe that’s kind of for everyone. I think that really inspired us and pushed us. I wanted to tie to the Weapon but I didn’t want to be super literal. What I love about the shoe is if you look at it, you’re like ’Oh, it’s a Weapon.’ So when you put it next to an original Weapon, no line really links up. No line is a direct copy. There’s some serious revising going on. I think the other inspiration for the shoe: to do an extremely technical platform that was based on everything that we had all learned through all of our testing, and obviously the new cushioning technology, but a much more classical upper that was about crafting, about traditional shoemaking. I think the juxtaposition behind those two things really drove it. Process-wise, we went through so many lab examples on this shoe. Easily tripled what I would typically do. You look at the original rendering and then all the original samples up to the production shoe, they’re almost just the same but yet we did triple the amount of samples because it was all about details, and we were really zooming in like ’How much foam do we want at the collar? Fifteen millimeters? Ten millimeters? Eight millimeters?’ Testing out different operations, different construction processes. That’s kind of the story behind the shoe. Counter Kicks: Even though the Weapon Evo looks very much like the Weapon, they’re very different shoes. What are some of the aspects of the Weapon that you saw as opportunities to improve upon with the Evo ? DiTullo: Obviously, the construction is completely different. The original Weapon was a cup sole. It’s a pretty heavy shoe. 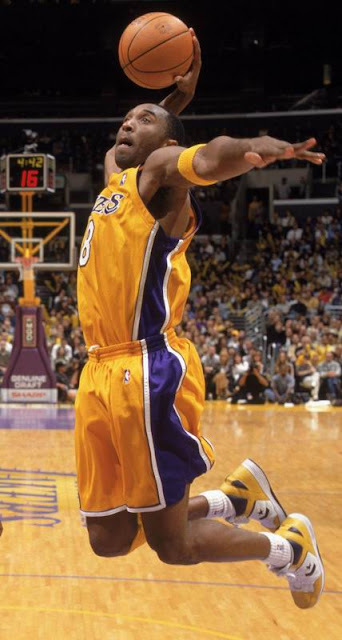 Kobe wore original Weapon ‘86’s in a couple games, and he still plays fine. I think obviously we wanted to make a shoe that was much lighter, much more flexible. We’re trying to take a lot of inspiration from the original line. If you look at the Weapon Evo, the way the outsole bumps up in the arch, the original kind of did that, or the little heel bumps, we just tried to take all of the original elements of the original Weapon and made them much more functional. We actually found that the original Weapon traction tests better because each herringbone was individual, as you came down and compressed it on the court it kind of moved with you a little bit and gave you a little extra traction and cushioning. Those little details. The Evo is what we call ‘back part halted’ so that it gives you a really good ankle feel. Those kinds of technologies just didn’t even exist in 1986. Everything from simple back part molding, which is more normal today, to the hidden lacing that’s a lot quicker and allows you to really lock down the laces. Counter Kicks: There’s a new cushioning technology – the Converse Balls Technology – that we’re seeing in the Weapon Evo. Can you talk about the development of this whole new system and what it means for on-court performance? DiTullo: The Balls system is a combination of chemistry and geometry. From a chemistry standpoint, you have a polyurethane, which gives you a lot of resilience. It’s very stable. In other words, it lasts over time. Initial out-of-the-box feel is very similar to after heavy wear but the addition of the spherical geometry really kind of changes the nature of the material. A sphere is a very stable form. The more you compress a sphere, the more it wants to return to its original form. If you can imagine squishing down on a ball, at first there’s a lot of give because you’re not engaging a lot of material, you’re engaging the top and the bottom. As you compress it more and more, you’re engaging more and more material. So the more you push down, the more it wants to push back, and typically what you get is, you never bottom out. It always has a little extra give to it. What this allowed us to do was to make a cushioning technology that is a lot lower profile than a lot of other cushioning technologies. A lot of other technologies give you softer ride at the expense of lifting you up off the court which causes all kind of things that are inverse to what you want. You don’t want to be away from the court, you want to feel the court. So by using this spherical geometry, along with the urethane chemistry, it allowed us to lower the whole ride down but still give you the cushioning that you want. It’s a pretty unique feel. 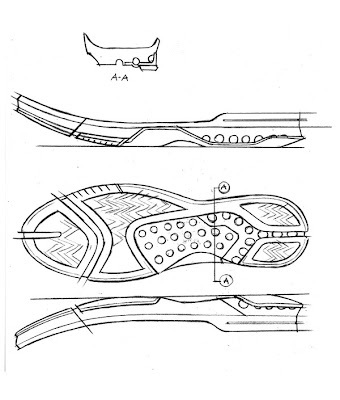 Counter Kicks: On one of the your Evo sketches from your website, you made note of the “flex notch” in the forefoot. In between that groove there’s a light, spongy material that you also find concentrated in the midfoot area where there’s no rubber or real reinforcement. Can you talk about that material – how that works with the division in the forefoot and the Balls Technology, and how it all works together as a cushioning system and as a flexing system? DiTullo: Yeah, I’m glad you picked up on that. Things like that are things that I totally nerd out on. I love doing these little things that are just really smart and clever but don’t actually cost the consumer any more money because they’re kind of intrinsically part of the exterior. We’re gonna put rubber and foam in the shoe anyway but if we could smartly do that rubber and foam, we could provide a better in-tune experience just simply by how we do the same ingredients. I wanted to do something where we just eliminated the rubber in that zone altogether, and basically it uses the midsole like a hinge. When you put pressure on the toe of the shoe, the whole shoe actually bends in that area, where a lot of other shoes can be really stiff. What that allows you to do is to be a lot more explosive on the court, stay on your toes more. It’s just a lot more responsive to your actions. You’ll notice in the arch, there’s no rubber there, and through all of our pressure and wear tests, we discovered that the foot doesn’t put any pressure on the ground in that zone, as well it shouldn’t, so you’re not really gaining any traction by having rubber there. A lot of shoes are kind of sculpted in that area anyway so the rubber is lifted up off the ground. But we discovered if we just cut the rubber out of that area altogether, we could save some weight. I mean, it’s fractions and ounces but we’re trying to do everything we can to help the experience of that shoe, looking at the little things that we had in new ways and questioning the ways we do things. Counter Kicks: Another detail is the bulleted word “Feel” in the heel of the shoe. Is there a backstory to that detail? DiTullo: That’s just kind of an internal mantra that we’ve been saying a lot through the whole year that led up to the Evo and that it was all about the feel of the shoe. There’s nothing on that shoe that doesn’t do something. All of us were just frankly kind of sick of all the bells and whistles and little gizmos that don’t really do anything for the consumers. For us it was all about, ’if you can’t feel it, don’t put it on there.’ That little logo on the heel of the shoe is something I’d done up in the last round of samples, kind of inspired by Braille and this tongue-in-cheek, internal, ‘feel’ thing. Counter Kicks: Did you have any apprehension about taking such an iconic design in the Weapon and retooling it for a new shoe? DiTullo: You know, that’s a great question. I didn’t have any doubts because I just knew it was right. As you get older and you get more experience, you start to realize that there are certain hidden rules, like little hidden pieces of visual DNA. You see it all the time around you. When you see an Aston Martin, they’re not revolutionary looking, they’re very traditional sports cars but they’re just right. But if you took that same shape and jammed it onto a Cavalier chassis, it would be so wrong. think as you get older, you start to get that sophisticated eye. You realize it’s really the little things that matter, and there’s certain things that are kind of in our collective unconsciousness as a culture that make certain things just stick. 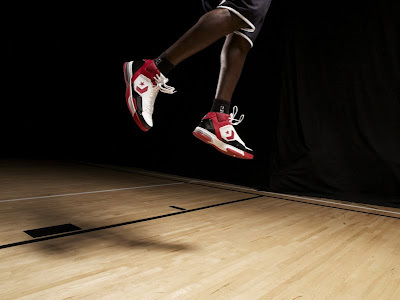 I really believe that kids want basketball shoes. When I was a kid, I wanted basketball shoes, you know? 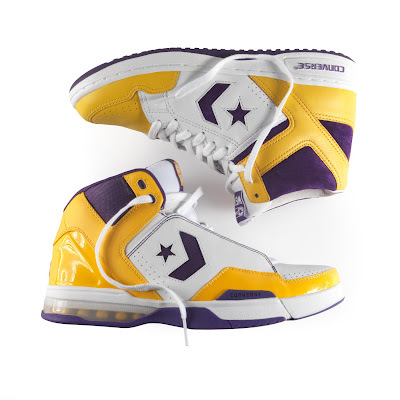 I think kids still want that but I think basketball brands kind of stopped making those shoes. 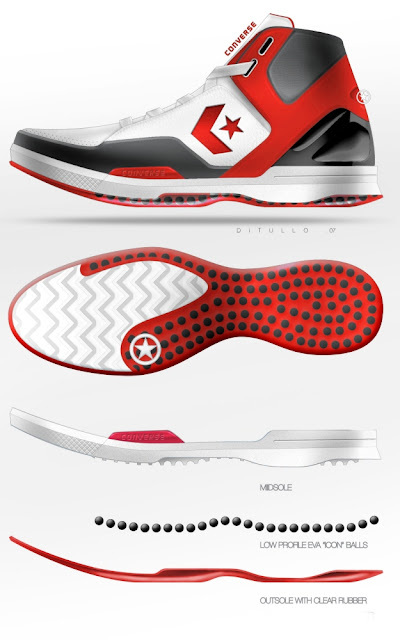 Basketball brands have moved on to making these space ships. 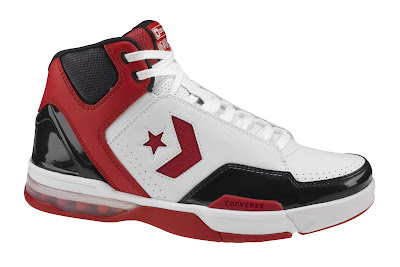 Kids are still buying basketball shoes but they’re getting them from retro re-releases because those are the kind of basketball kicks that we all want to wear. So, I wanted to make something that was right for the court, that did everything that you would ever want it to do on the court but was right for who you are as a person – it worked on the court but it was aware of the culture at large and was relevant. It’s subtle stuff but it connects with people on a better level. Counter Kicks: Could you give us a little bit of background about the Weapon and the impact it made when it first released? Molly Carter: Given the fine gentlemen who wore them back in the 80s, it made a huge cultural impact if nothing else. So you always see us putting out the original Weapon because there is still such a strong market for that. It did make a huge splash in the 80s as sneaker business was ramping up. They weren’t signature shoes but Magic and Larry did both wear those, and they became known as wearing those shoes even though lots of athletes did wear them. It was one of those cultural things that has stuck, and that’s why we often reintroduce it and where the interest for creating the Weapon Evo came from. DiTullo: I think for us it’s just a really important shoe in our archives. This is a hundred year old brand. We have so many shoes in our archives. On my desk is a huge stack of every type of every Converse basketball catalog going back to the sixties and the Weapon always stands out in that. You’ll see some more releases from us in the future but one thing that’s interesting is if you buy a Weapon ’86 off the shelf today and compare it from just a shoe that’s just called the Weapon from two years ago and put them next to each other, you’ll notice a lot of subtle differences. I think it just shows the attention to detail that we’re paying to our own archive here at the company. We actually bought an original 1986 vintage Weapon off the market and brought it back to the office and compared it to what we were making. We were like ’You know what? We can do better. We can get closer to the original.’ I think the ’86 that’s on the market today is a much-loved shoe, every radius of that shoe has been really studied. For our company, it’s important to take care of our history. Very cool. I have two pairs of these shoes, and they're great. converse have done a great job!! Great interview, and except for the astronomical price-point in Europe(€130=$195) I'm very excited about the future.